The young-adult novel The Hate U Give was one of the best loved and most challenged books of the last year. With a plot centered around the police killing of an unarmed black teenager, some critics argue it stokes the fires of racial division. But the book’s many fans say it’s a story of identity, family and courage that speaks to readers of all backgrounds. Ahead of the film adaptation's release, the book's popularity is continuing in South Dakota. Sixteen-year old Starr Carter narrates the novel. She has plenty of experience walking in two different worlds. She lives in a predominantly black neighborhood with a strong sense of community but high rates of poverty and crime. Then there’s her school: a predominantly white private school in the suburbs. At a spring break party, Starr runs into Khalil, a childhood friend and her first crush. When a fight breaks out, the two leave in his car and are pulled over. The officer orders Khalil out of the vehicle. The teenager complies, but when the officer goes back to his squad car, Khalil opens the car door again to check on Starr. The officer fires. Khalil dies and Starr is the only witness to the shooting. 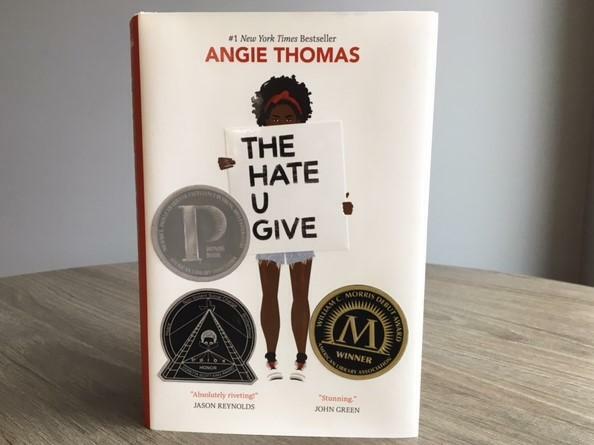 Since it was published last year, The Hate U Give has received widespread critical acclaim and multiple awards. But some schools have pulled it from their libraries for its profanity and depictions of drug use. In South Dakota, the book’s popularity continues to grow among readers of all ages. Kerri Smith is a librarian at Washington High School in Sioux Falls. She’s also the chair of the Young Adult Reading Program through the South Dakota State Library. They included The Hate U Give on this year’s list of Teen Choice Book Award candidates. While some books spur debate, Smith says this one was unanimously approved. Smith explains that Angie Thomas’s novel debuted at the height of social media campaigns calling for greater diversity in popular literature. She says most young adult books focus on white characters, and in the past, what was called “urban fiction” tended to focus on gang violence. But she says this is a different story. “There’s just so much about this book that I felt just kind of stomped on stereotypes while remaining authentic, and that’s what I think just sets this book out and above some works that came before it,” Smith says. For instance, while Starr’s father is a former gang member, he’s now a business owner and encourages his family to change their community for the better. He and Starr’s mother, a nurse, are happily married. And Starr’s boyfriend is a white classmate--a fact the teenager hides from her father at first. Smith says the integral role of Starr’s family and occasional bursts of humor make the book accessible to anyone, and that popularity has held true at Washington High School. She says the book is popular with both teachers and students. “I always feel like there’s different books for different readers, but students have loved this book. I now own 18 copies of it and I think they’re all out right now," Smith says. Some of the appeal is also the relevance of the book’s storyline. Starr Carter grapples with the choice about testifying before a grand jury. She wrestles with going public about her experience the night her friend was shot. And that perspective is part of what caught the attention of Northern State University’s Common Read Committee. Erin Fouberg directs the honors program and says this is the first year the selection is required reading for all freshmen. Fouberg says The Hate U Give has inspired deep conversations in her classroom about racism and identity. She says Starr’s experience living in two very different worlds resonates with students regardless of their background. “Even as simple as saying, ‘When I’m among my friends who are athletes and I’m an athlete I have to talk this way, but among another group I have to talk a different way,'" explains Fouberg. The book forces many readers to reconsider their assumptions. Fouberg says that nuance feeds a key goal for her program--especially as younger generations read fewer long-form stories in favor of short bursts of information. Other NSU programs are using the book to organize guest speakers on themes related to the novel. “A couple weeks ago they had the Aberdeen Police Department on campus talking about community policing and how they see their role in policing, which I think is another way to make sure that when you approach this book you’re approaching it in a healthy way,” says Fouberg. Other topics include Native American experiences in the judicial system and an NSU professor’s own experience navigating different identities during her education. Both Fouberg and librarian Kerri Smith agree that books help generate empathy--and that empathy transcends location and personal experience. Smith says you don’t need to live in the inner city to appreciate the focus on family, courage, and identity that’s offered in the novel. “They’re such essential themes within there that even though maybe she doesn’t live where we live, it still has something that resonates in all readers,” Smith says. But as a librarian in a school with an increasingly diverse student body, Smith is also thrilled by the shift this book represents in popular fiction. She believes it helps all students recognize that their voices and perspectives have value.